Are you looking for a cosy spot in an authentic London borough? Forget the tourist-y stuff. Tower Hamlets is where it's at. You will love the garden. It's the perfect place to hang out during warm summer days. It's also great for Sunday BBQs. Get to know the flatmates by the grill. We think it’s ideal for single professionals. Tower Hamlets is central, vibrant, and public transport is handy to get you to the office in no time. The garden has 'Sunday BBQ' written all over it. The charming decor. An English classic. Mile End Park is a 7-minute walk away. 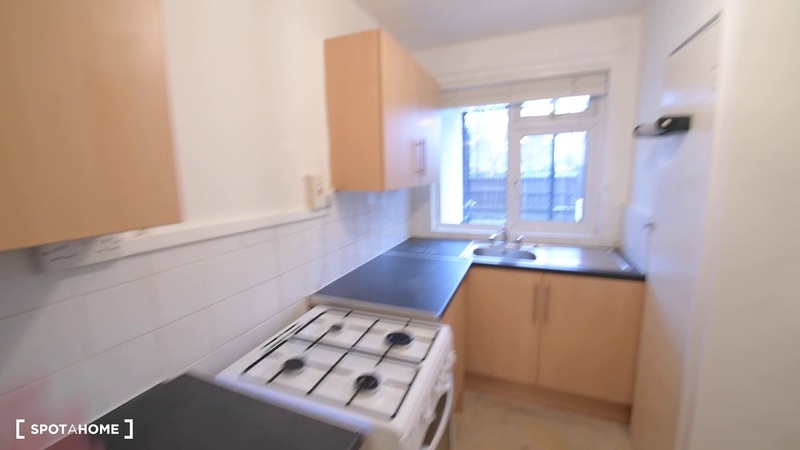 This is a neat 3-bedroom flat on Dora Street, London. It has a sweet garden, lovely decor, and it's close to a huge park where you can spend some quiet time in nature. We think this house is perfect for professionals. Delicious food, picturesque architecture, great public transport connections – Tower Hamlets has it all. It's only missing you. Chilling in the garden – let's grill some steaks. Soaking up the decor – exactly what I wanted. Walking to Mile End Park – it's picnic time. There are a brand new freezer and fridge that aren't showing on the pictures! Students need a UK-based guarantor to rent this property.